The Beatles: Rock Band is one step closer to being complete next week, when MTV Games and Harmonix release the eleven tracks necessary to complete one of the band's greatest albums, Rubber Soul. 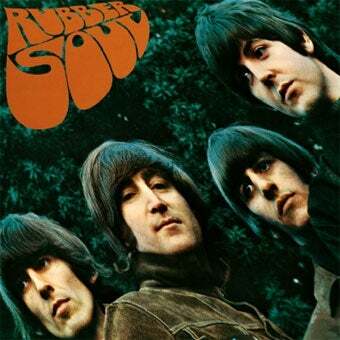 Rubber Soul isn't just one of The Beatles' best albums. It's perhaps one of the greatest albums of all time, constantly making such lists in periodicals such as Rolling Stone which are in the know when it comes to this sort of thing. Only three tracks from the album made it onto the disc for The Beatles: Rock Band, and quite frankly "Drive My Car," "I'm Looking Through You" and "If I Needed Someone" just weren't enough. The album has so many amazing songs, like "Norwegian Wood (This Bird Has Flown)," "Nowhere Man," "Girl," and "In My Life," all of which will be available next week as part of the Rubber Soul Complete the Album Pack. The eleven songs will set you back $13.49 on the PlayStation Network or 1440 Microsoft points, with individual songs available on both consoles as well as the Wii. This is the Beatles album that holds the most memories for me, particularly with the song "Michelle," which my family would sing to me when I was a little girlish-looking baby. I'd post a picture, but the Kotaku comments section can't handle that much "Awwwwww." · "Norwegian Wood (This Bird Has Flown)"
· "You Won't See Me"
· "Run For Your Life"